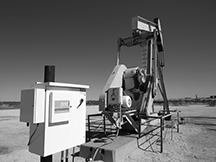 HOUSTON, March 6, 2019 (Midland Reporter Telegraph) - You’re probably aware of the benefits of automating your oilfield procedures. Instant information means reduced downtime, fewer trips to the field (less driving on dangerous roads), extensive and instantaneous reporting data (no misplaced or unreadable tank readings) and so many other ways to streamline operations, boost production and make your people more efficient. But there’s one thing that holds many operators back. In this new article MRT uncovers that speed, simplicity and inclusion are the foundations of Zedi's Automation as a Service - ZAaaS in based on. Saving you weeks or months of setup time, thousands of dollars of investment, and getting your automation system up and running quickly and accurately to increase production, efficiencies and safety much sooner.